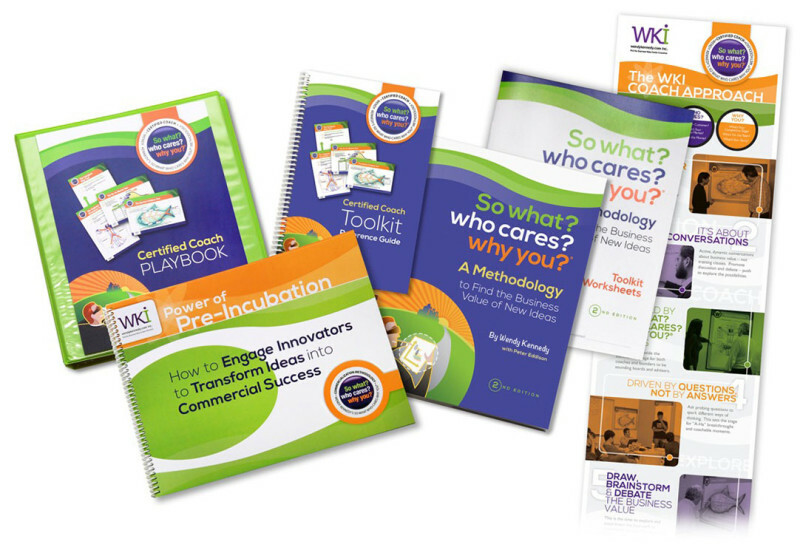 WKI Certification Program Materials - wendykennedy.com inc.
WKI Certified Coaches receive ongoing support and a comprehensive suite of resources to deliver dynamic coaching programs based on the So what? who cares? why you?® methodology. As part of their certification, WKI Certified Coaches are given step-by-step guidance, best practices, and tools to ensure their success in bringing high-value innovation and ideation programs to their communities. Certified Coaches receive a complete binder of materials that detail the So what? who cares? 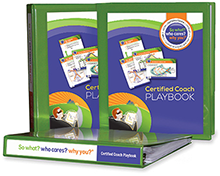 why you?® coaching program. Included in this are templates, checklists, and tools to help you prepare and launch a successful entrepreneurial ideation program. This quick-reference toolkit is designed for coaches to carry with them when they are on the move working with client inventors and entrepreneurs. The guide offers a quick review of the step-by-step coaching guidelines for each of the tools to give coaches/advisors an action-oriented game plan for each meeting. 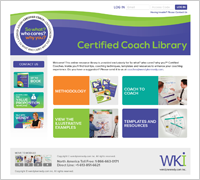 WKI Certified Coaches have private, personalized access to a dedicated online site with continuously updated coaching resources, tools and worksheets, illustrative examples, checklists, tips and techniques for guiding clients through the So what? who cares? why you? methodology. See the Entrepreneurial Ideation Program Kit for more information. Engage with WKI and the global network of WKI Certified Coaches. In these collaborative forums, a variety of topics are discussed that include tool best practices, coaching tips, outreach program ideas, evaluation, screening, and client readiness. This forum uses the Google Groups platform and provides an opportunity for coaches to discuss topics important to them, to share their techniques, and receive ongoing insights on best practices for implementing the So what? who cares? why you? methodology and ideation program. Want to learn more about our Certified Coaching resources? Contact us!